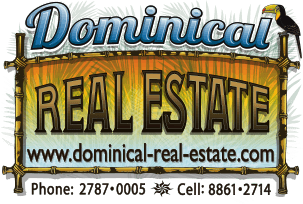 Spacious modern two story villa with three large bedrooms, each with private bathroom, and spectacular ocean view in forested garden only 1.5 km from Dominicalito beach. The house is quiet and very private, located at the end of a 200 m. gated driveway. The master bedroom features a large tree-level terrace where you can view toucans, oropendulas, crested guans, great curassow, and other birds. White-faced monkeys also pass almost daily through the property. Relax in your hammock and watch the waves crash into Dominicalito island and the fishing boats sail into and out of Dominicalito bay. The lower level of the house consists of an open living room, dining room and kitchen, with a large covered outdoor patio. There is also a washer/dryer and a half bathroom downstairs. All 3 bedrooms are located on the second story, each with private bathroom and private patio or terrace with ocean views. The combination of the superb view, the nearby beach for swimming or surfing and the forest surrounding the house makes your stay an unforgettable experience. The house currently has an AC unit for the living room/kitchen downstairs as well an AC unit for the master bedroom. There are ceiling fans for all other rooms and terraces. There is an outdoor shower to refresh you any time. For access up to the house, a 4 wheel drive car is required. This house is available from August 15 for 5 months. All utilities included except electricity.